Hoy os presentamos esta Europortunidad de formación subvencionada en Bled, Eslovenia. Se trata de una conferencia internacional sobre los problemas del alcol en la juventud. 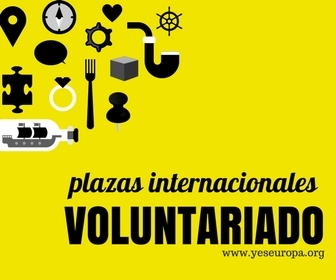 A la conferencia participarán más de 100 jovenes procedentes de toda Europa! The idea of the conference is to bring together 100+ young people from across Europe to build capacity to become advocates of a better alcohol policy in Europe. The conference is organized by APYN with fundings from the EU Youth in Action program. The conference also invites experts on advocacy and policy making to exchange their own experiences with the participants. These experts will come from various entities such as World Health Organisation (WHO), European Commission (EC), Netherlands’ Institute for Alcohol Policy (STAP), Institute of Alcohol Studies (IAS), Eurocare Members and the Ministry of Health of Slovenia. » to bring their own expertise and best practice and exchange them with the rest of the participants, as well as gain more skills on advocacy and policy-making. » Training course on alcohol policy, advocacy and lobbying (advanced), aimed for those willing to influence local, national and international authorities on alcohol policy and advocacy. The conference will have combination of workshops, plenaries and training sessions on soft skills, delivered by experienced facilitators. Envia a info@ingalicia.org tu Cv y una pequeña carta detallando porque deberias participar a esta conferencia. En el asunto del correo pon CURSO.ESLOVENIA.NOMBRE.APELLIDOS.